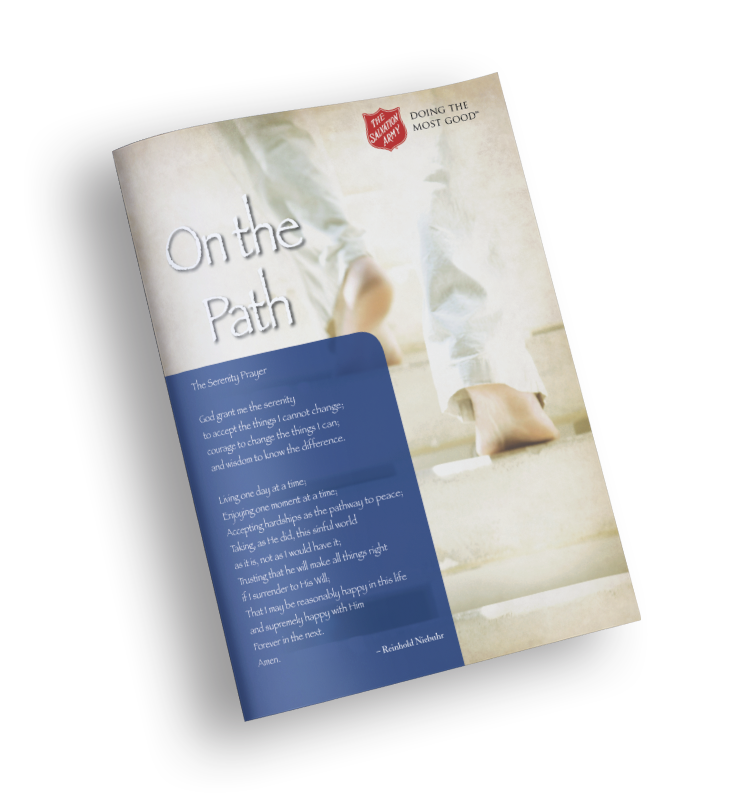 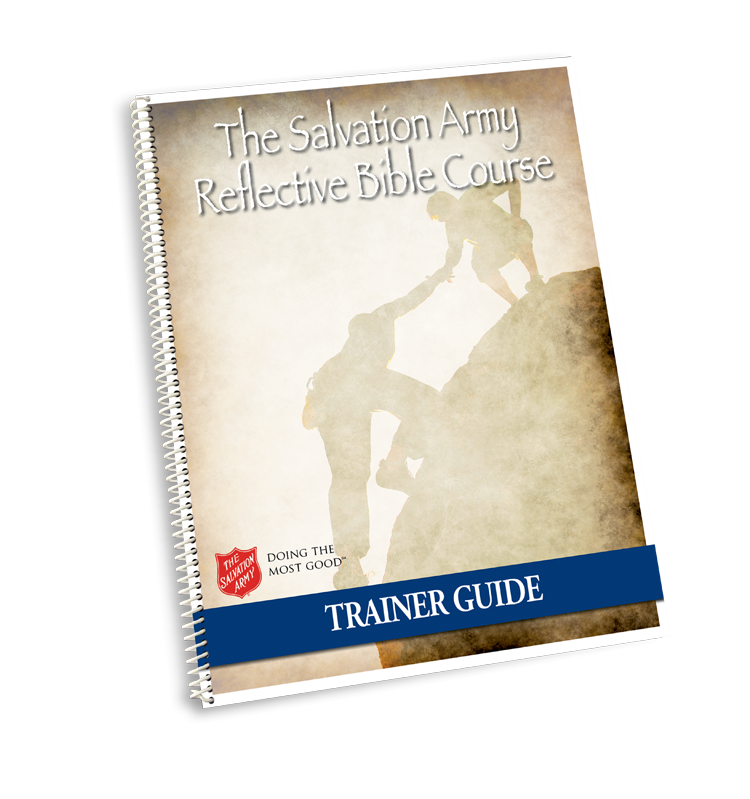 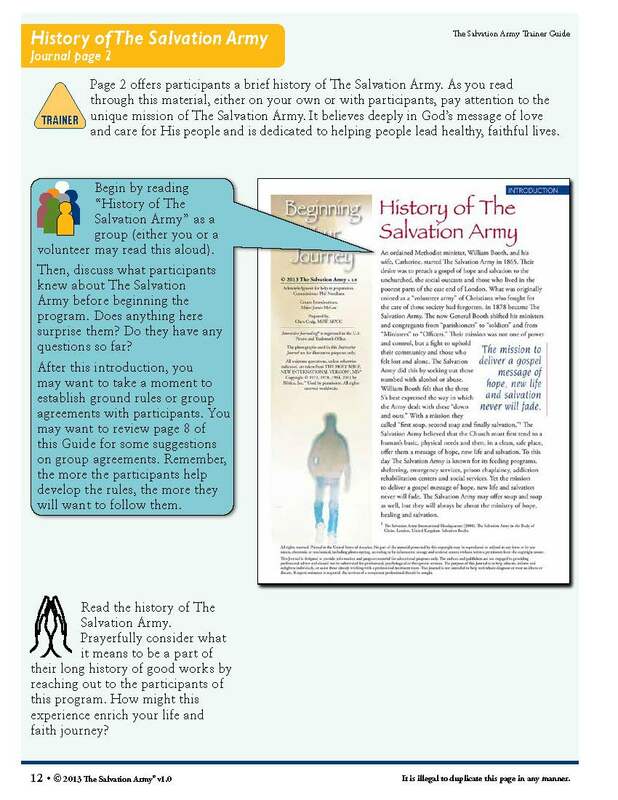 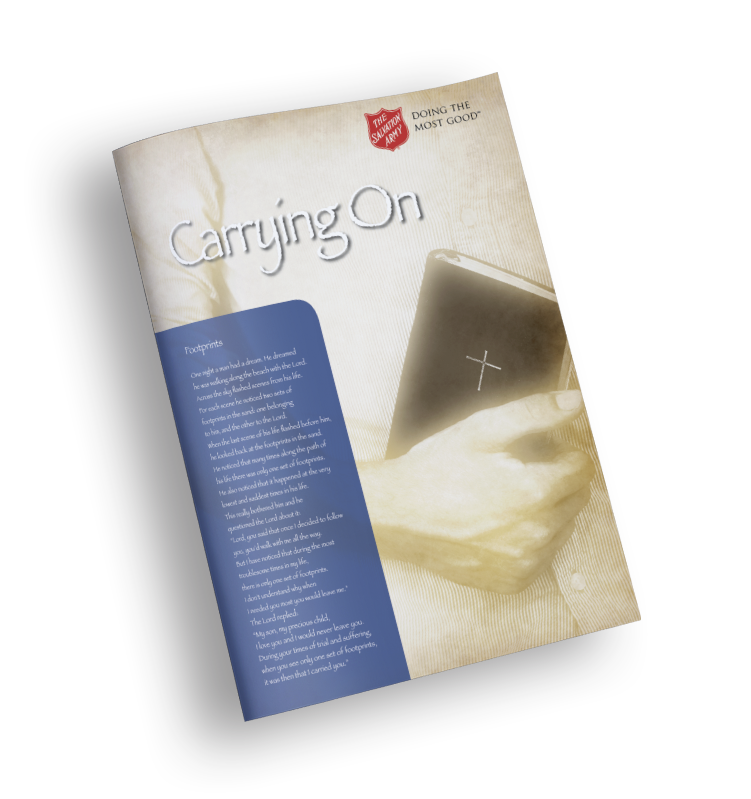 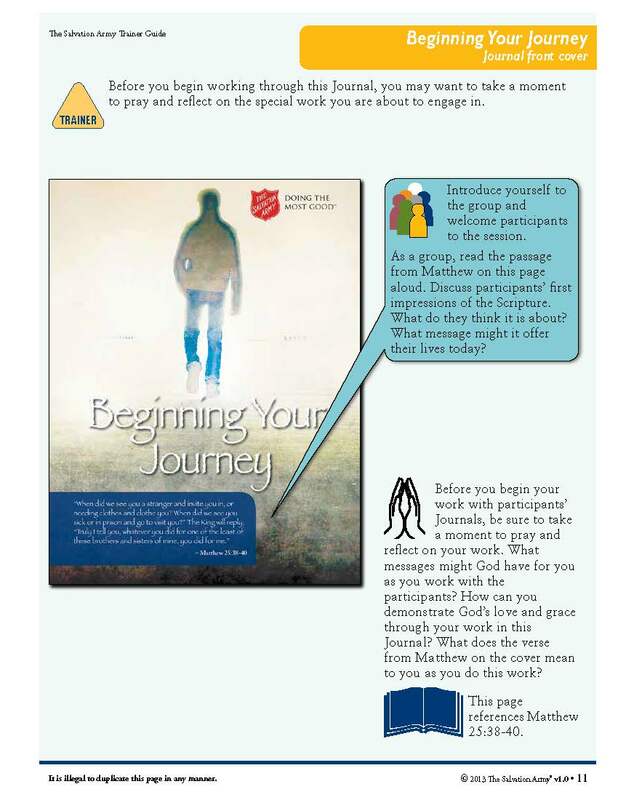 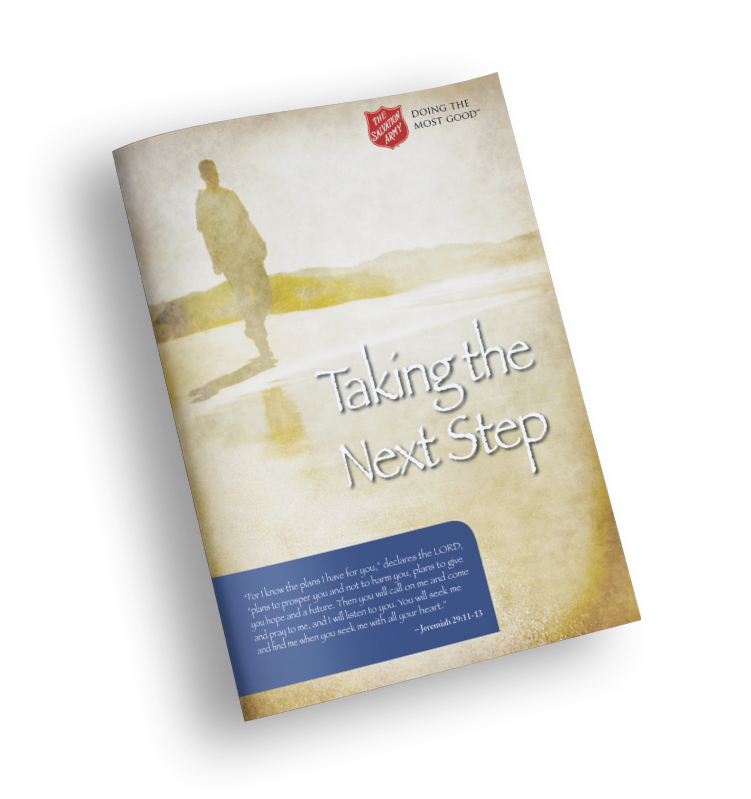 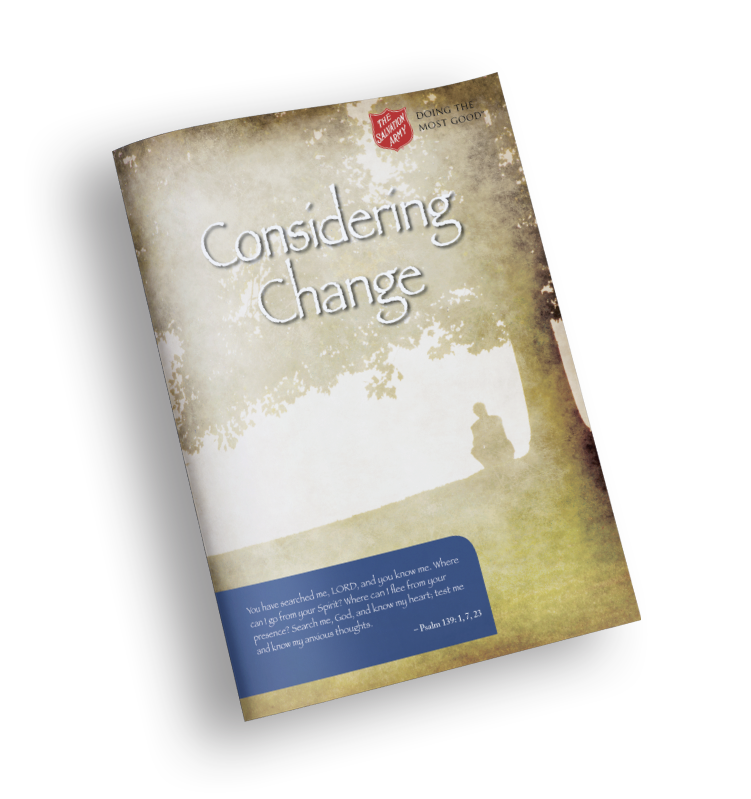 This Trainer Guide assists spiritual leaders in helping participants work through The Salvation Army Reflective Bible Course. 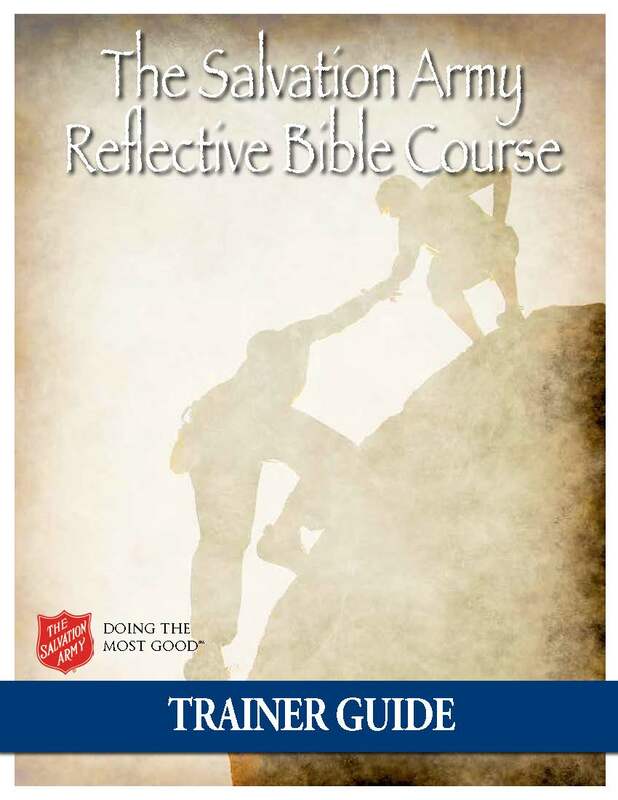 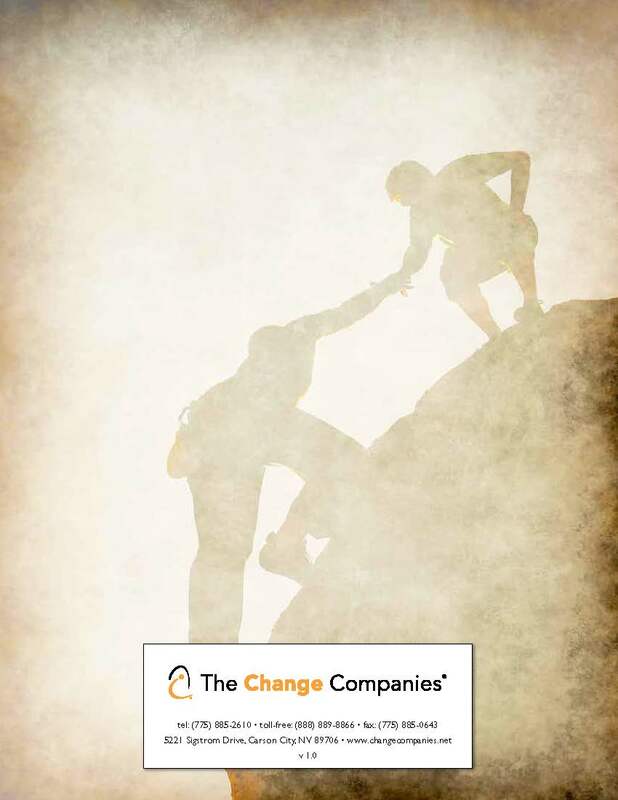 The Trainer Guide can assist those leading a group of participants through the course in meetings or those offering guidance via written feedback. 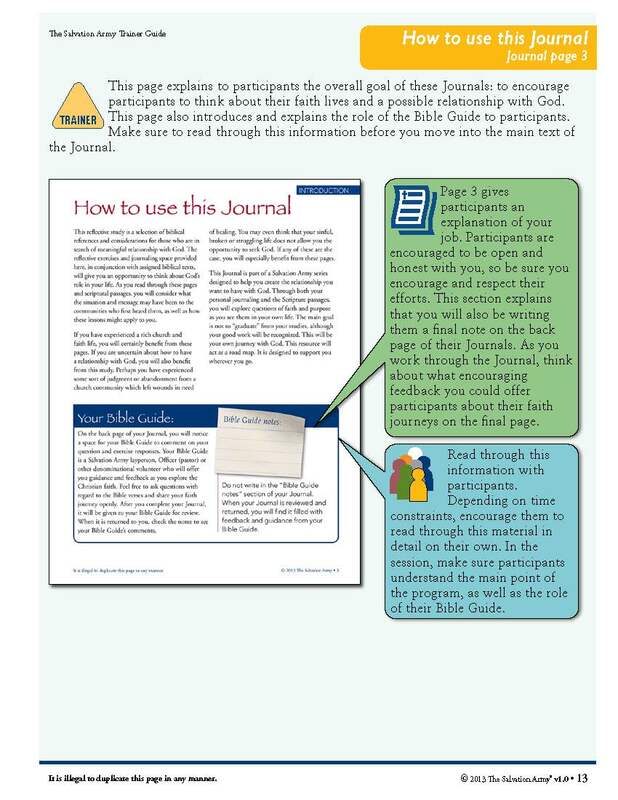 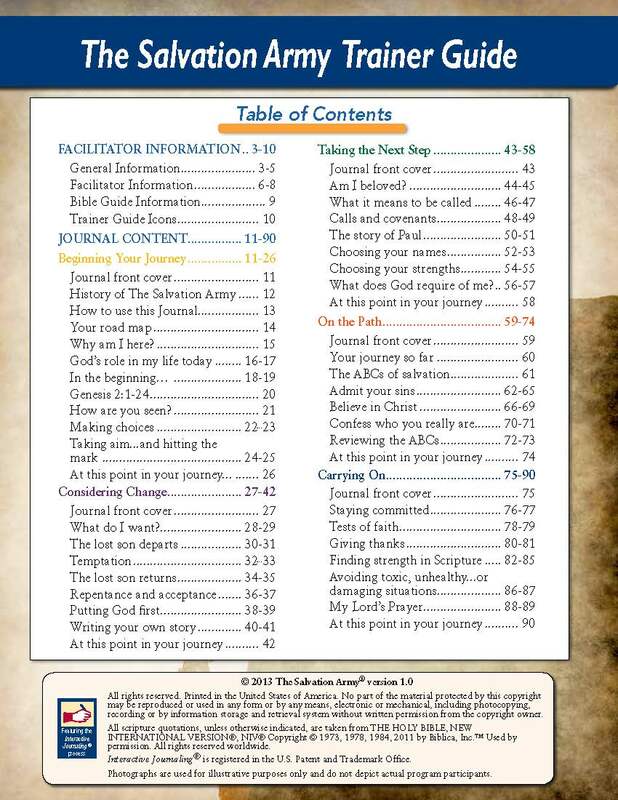 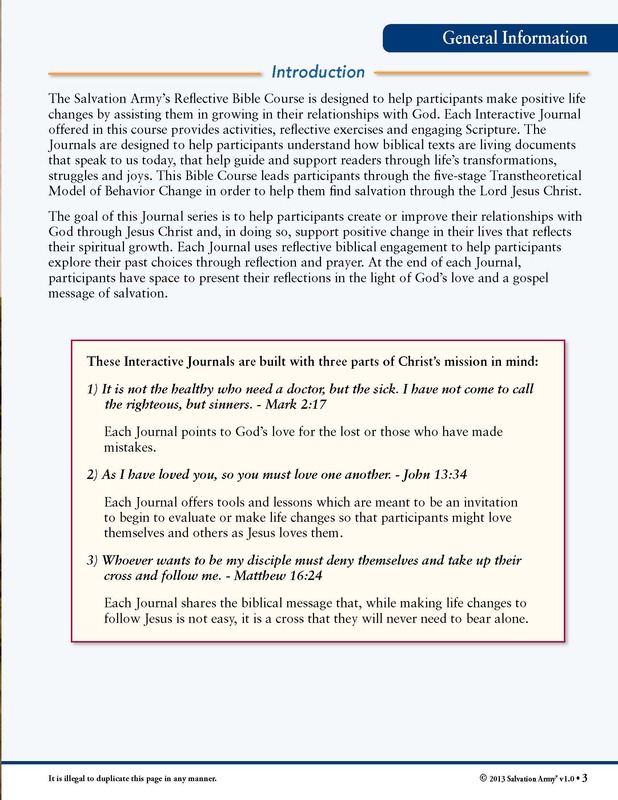 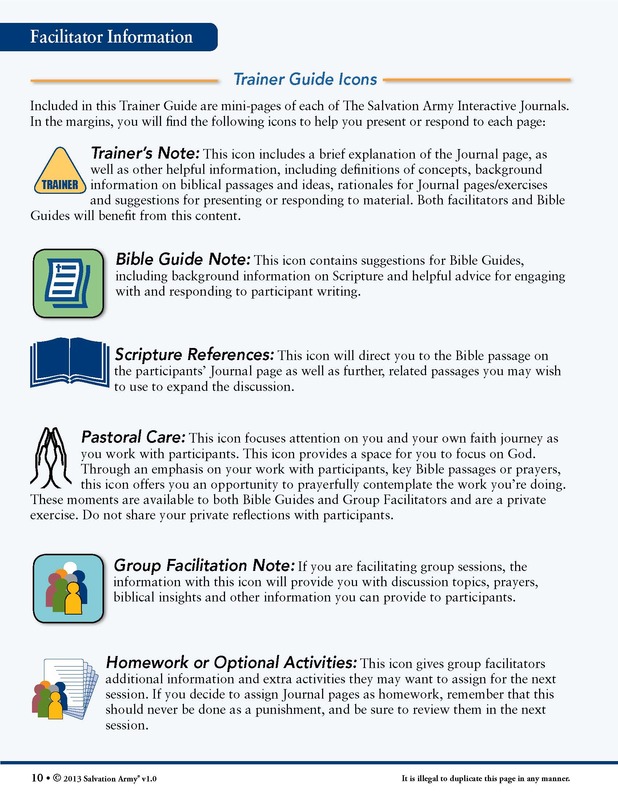 Included in this Trainer Guide are tips for responding to participants' Journals or facilitating group meetings, additional details on important Scripture from the Journals and brief opportunities for prayerful reflection for the spiritual leaders to grow in their own faith journeys.